This PomPom yarn throw by OakRidge™ surrounds you in plush, snuggly comfort—and its generous size won’t leave your toes out in the cold. 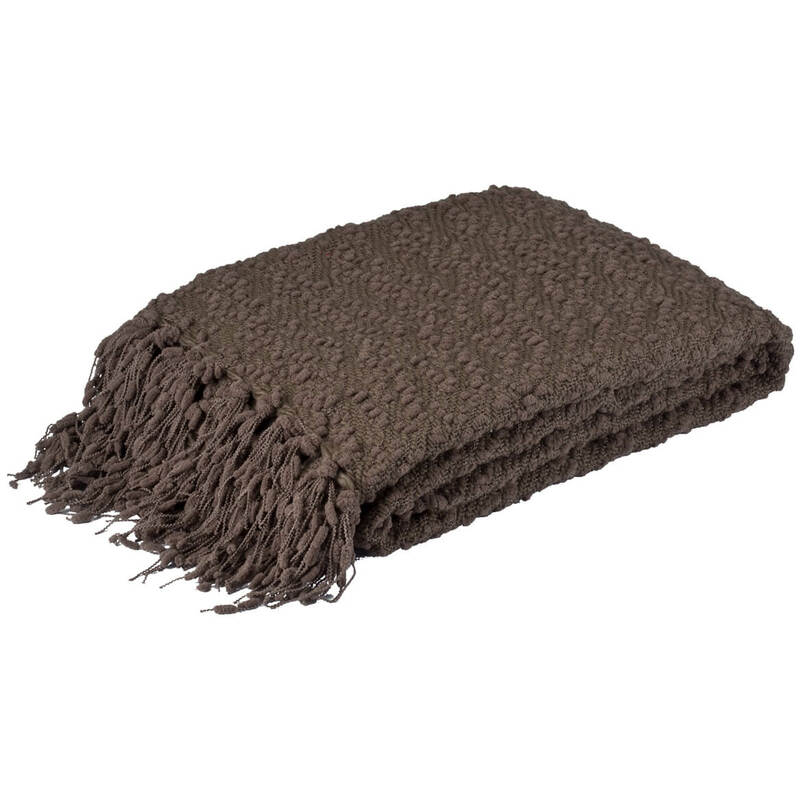 Designed exclusively for us by OakRidge™, the textured pom yarn and fringed ends give this stylish plush throw blanket the warmth and character of a handknit treasure. 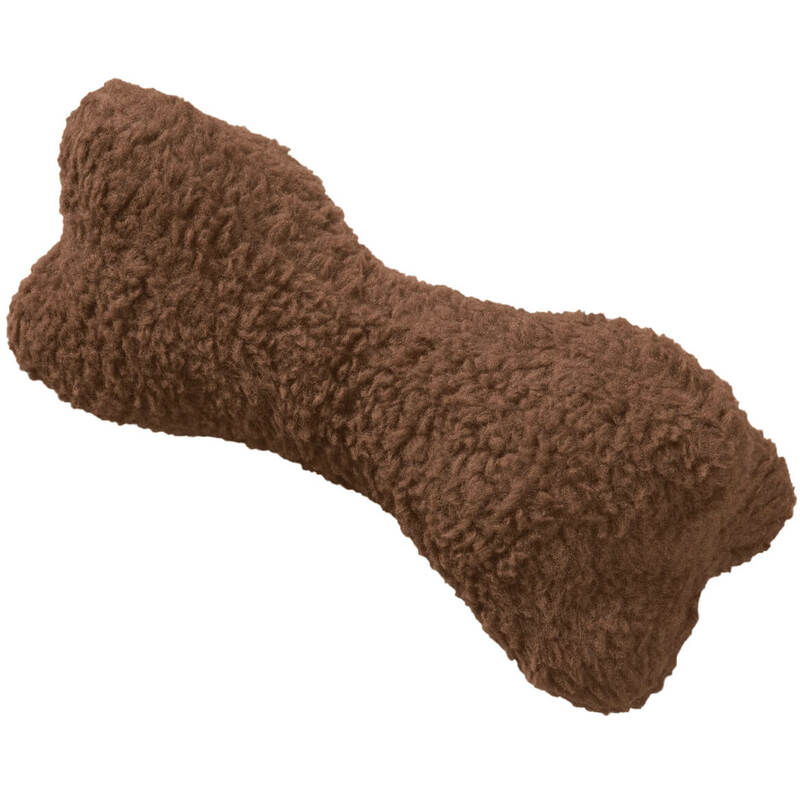 Big on quality and value, the 70″ x 50″ pom pom blanket is 40% acrylic/60% polyester for lightweight warmth and softness. Machine wash cold (do not bleach, dry clean, tumble dry or iron). Imported. Display this Personalized Snowman Afghan blanket in your home this holiday season. 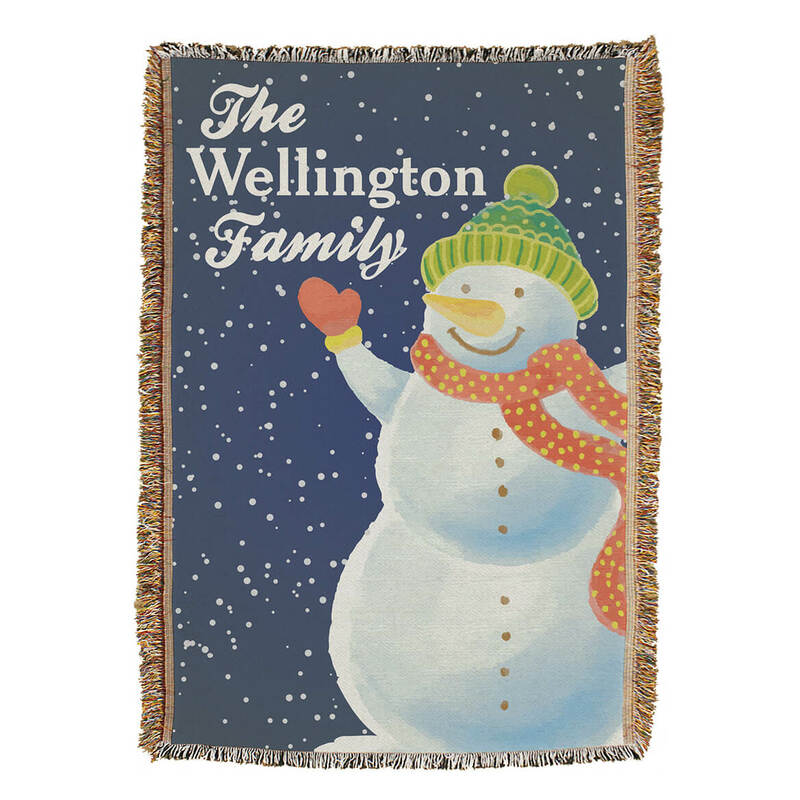 The soft tapestry throw features a jolly snowman bundled in polka dot scarf and pom pom topped winter cap, along with your own custom message. It makes a great Christmas gift or addition to your own holiday decor. 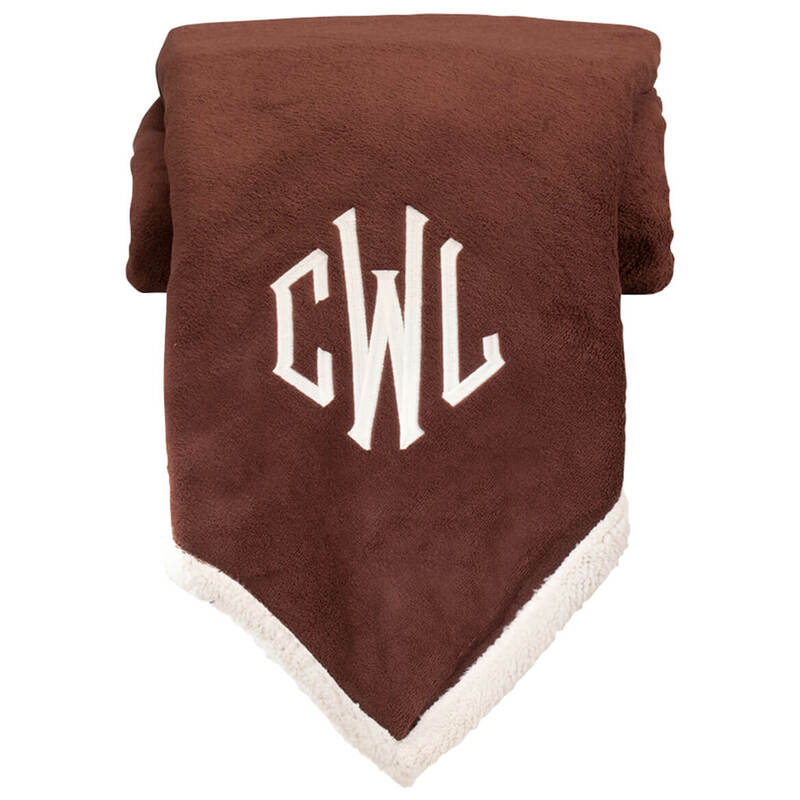 Throw blanket measures 54″ x 38″ and is made of a 50/50 cotton/polyester blend. Features fringed trim. Machine washable in cold and tumble dry low. Specify personalization; limit 1 line/12 characters each. “The” and “Family” are standard. Cuddle up with two favorites in oneUltra Plush Microfiber Sherpa Throw soft, ultra plush on one side, luxurious sherpa on the other. 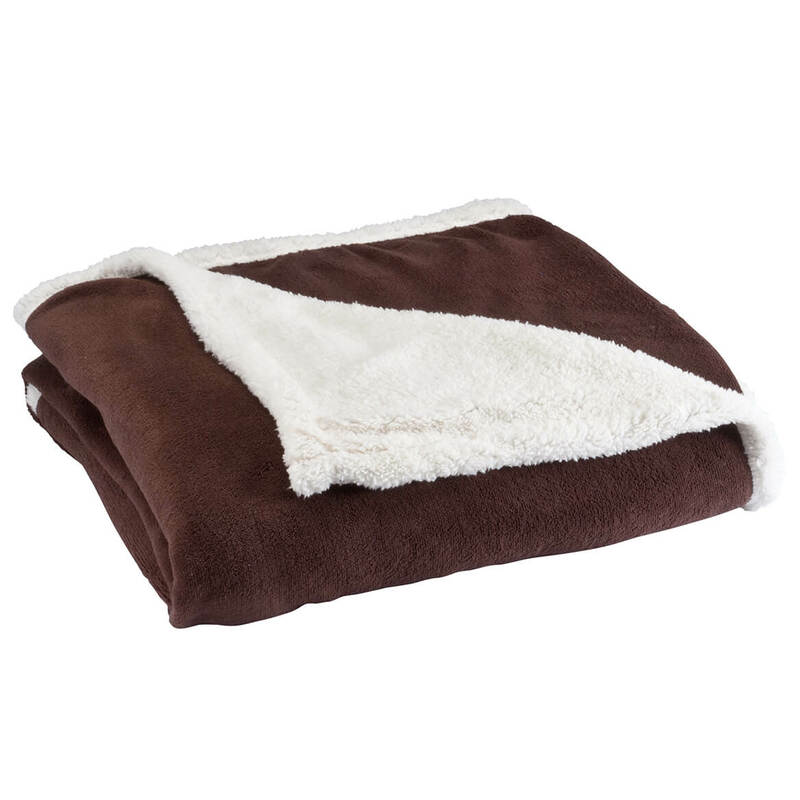 Sherpa blanket’s generous size is ideal for staying warm and cozy on your couch or bed. Made exclusively by OakRidge™, the microfiber sherpa throw makes travel and sporting events more comfortable. Easy-care microfiber is machine washable. Makes a great gift! Polyester. Machine wash cold, gentle cycle. 50″ long x 60″ wide. It’s like having two favorite blankets in one…luxurious sherpa on one side, soft ultra plush on the other! 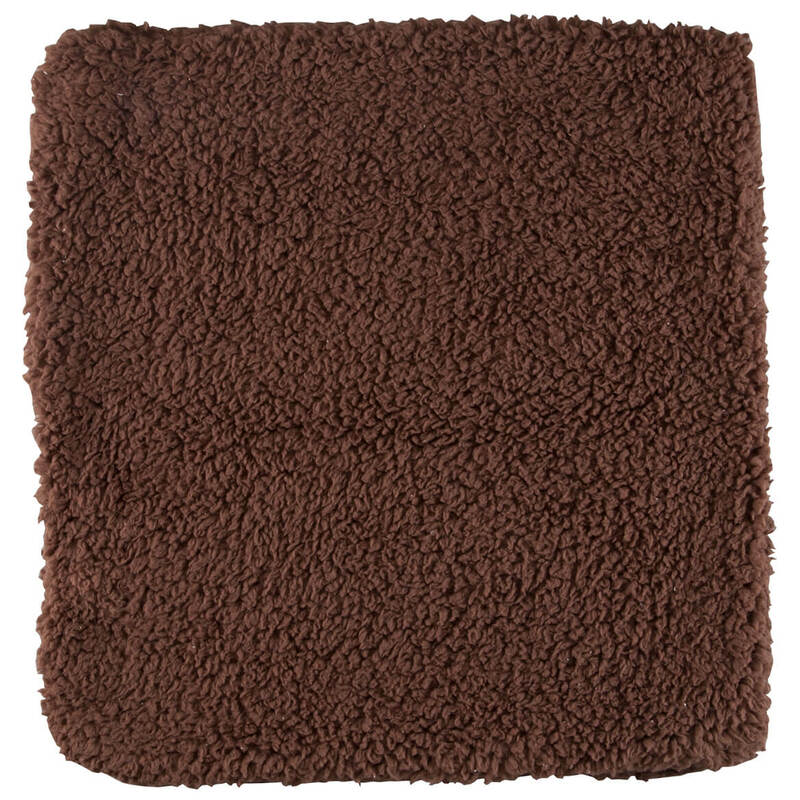 ThePersonalized Ultra Plush Sherpa Throw by OakRidge™ is perfect for staying warm and cozy on your bed or couch. Designed exclusively for Exposures by OakRidge™, this monogrammed throw blanket makes travel and sporting events more comfortable. Makes a great personalized gift! 100% polyester; machine wash cold, gentle cycle. 60″ wide x 50″ long. Display this Personalized Winter Scene Afghan in your home this holiday season. 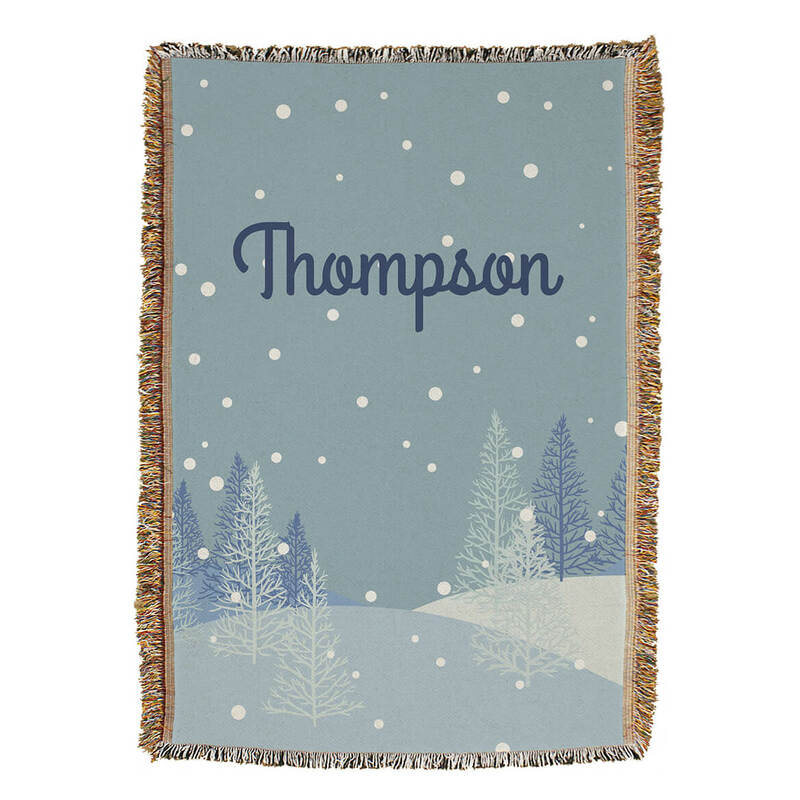 The soft tapestry throw features a beautiful blue snowy winter tree scene along with your own custom message. It makes a great Christmas gift or addition to your own holiday decor. Afghan blanket measures 54″ x 38″ and is made of a 50/50 cotton/polyester blend. Features fringed trim. Machine washable in cold and tumble dry low. Specify personalization; limit 1 line/12 characters each. This plaid deer pillow is brimming with holiday cheer, thanks to real jingling bells and one merry reindeer! A holiday classic in red tartan plaid, our decorative pillow features one jingle bell on each comer, plus 10 smaller bells on the handsome deer’s antlers. Perfect for any room of your holiday home, it’s a fun, festive gift to love every Christmas. 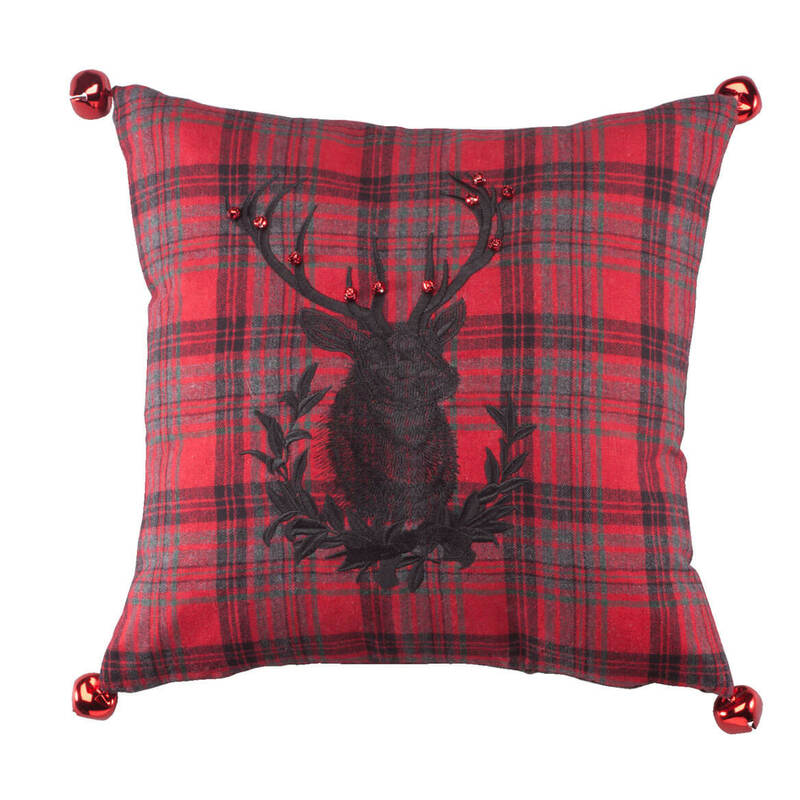 In 100% polyester with polyester fill, the throw pillow’s deer print reverses to red tartan plaid. Spot clean. 15″ x 15″. Imported. 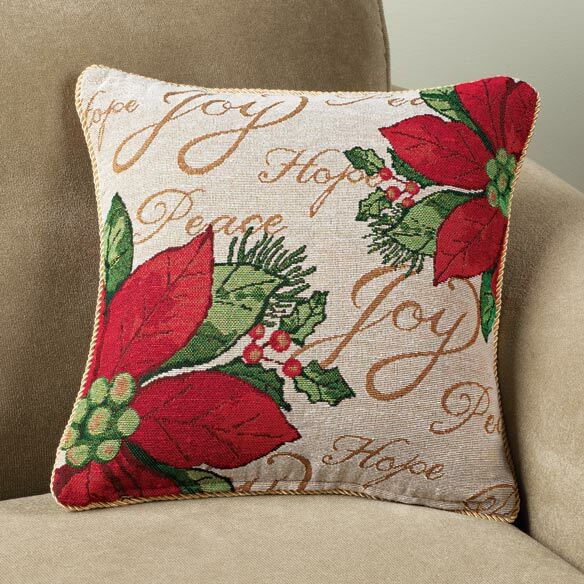 Pretty holiday needlepoint poinsettia pillow cover zips on over a plain or worn-out pillow—instantly zipping up your décor! Christmas pillow covers are a bright update for the holidays or winter season; 18″ x 18″ cotton/polyester cover hand washes. Imported. 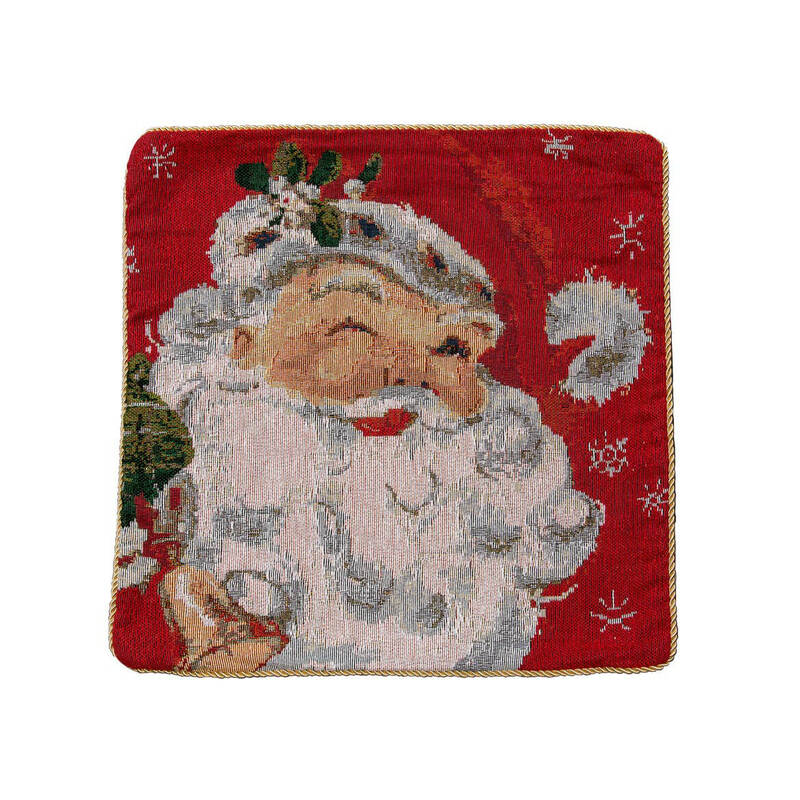 This Santa Claus pillow cover makes decorating quick … giving an everyday pillow a touch of merry magic! Decked with all the detail of a handcrafted needlepoint, our nostalgic Santa Christmas pillow cover boasts a hefty tapestry weight—crafted of substantial 100% polyester and finished with elegant gold cord trim. Simply zip it over a throw pillow for instant holiday style. Hand wash. Throw pillow cover measures 18″ x 18″. Imported. Sherpa neck cradle pillow brings extra comfort at home or on the go. Specially designed pillow cradles your neck, head and shoulders with its contoured butterfly shape. Offerd exclusively by OakRidge™, the handy size of this neck pillow is ideal for car trips, airplane travel or just relaxing at home. 15″ long x 7″ wide. 100% polyester. Spot clean. Transforming an ordinary pillow from drab to FAB, our ultra-plush Sherpa Pillow Case by OakRidge™ cover adds texture interest and cozy warmth in a five stylish colors. Extra-plush sherpa offers luxurious softness and a sumptuous feel, updating bed or sofa pillows in affordable statement style. The 16″ sq. throw pillow case’s side zipper closure makes it easy to slide a pillow in and out for cleaning or seasonal storage (pillow not included). throw pillow cover made with 100% polyester; machine wash. Imported.